The Common Cold is a mild viral infection of the nose, throat, sinuses, and upper airways caused by several distinct families of viruses such as the Coronavirus and Rhinovirus. An average adult may expect to get a cold approximately 2 – 4 times a year, while children may expect to get colds 3 – 8 times a year. Most colds last for 4 – 5 days, and while no cure is available for the common cold, over-the-counter medications may help reduce or eliminate your cold symptoms. Colds result from a viral inflammation of the upper respiratory tract (nose to lungs); consequently, symptoms arising are characteristic of the specific areas that have become inflamed. As such, Nasal Congestion, a Sore Throat, Coughing, or a Runny Nose are the most typical symptoms that are produced through the body’s response to the infection, usually accompanied by a hoarse voice or sneezing. Less common symptoms include mild temperatures of 38 – 39 degrees Celcius, Headaches, Earaches and Muscle Pain. Several over-the-counter (OTC) medications can alleviate the symptoms of the cold and help you feel better without the need for you to see your physician. Drugs such as Ibuprofen and Paracetamol are effective painkillers that can help with headaches or for fever reduction. Decongestants are stimulants, so if you are having trouble sleeping, cut back on caffeine while taking them. A full list of medication can be found here, while more information about how decongestants work can be found here. Additionally, as colds are a result of a viral infection, antibiotics do not work. Antibiotics target bacterial infections and may in fact be harmful if taken when not needed. In fact, taking antibiotics unnecessarily and without a doctor’s prescription contribute to a buildup of bacterial antibiotic – resistance in your body and may pose a problem in future infections. While colds generally pass after 4 – 5 days, secondary bacterial infections may occasionally occur on top of your cold or it could be something else entirely. As such, listed below are several signs that may indicate when you should see your physician. Colds are spread through 2 ways. Direct contact – Sneezing and coughing propel virus-bearing mucus or fluid droplets into the air to be breathed in by others. 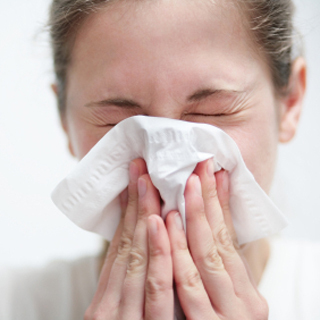 Indirect contact – Contact with a surface with mucus or fluid from an infected person and subsequently contacting mouth and nose can cause an infection. As such, taking the following steps would greatly minimize your risk during the cold season. Washing hands regularly after touching nose or mouth and handling food. Cleaning surfaces regularly to keep them free of germs. Using disposable paper towels to dry hands and face rather than shared towels. More information about colds can be found here. What Are Measles Signs and Symptoms of Asthma Ebola Virus Transmission And Treatment How Does Cold Laser Fat Reduction Work?